So you're wanting to be a fisherperson? Well it's a perfect way to pass by the time. So many people are confused about a few things. I thought I'd talk about them here. 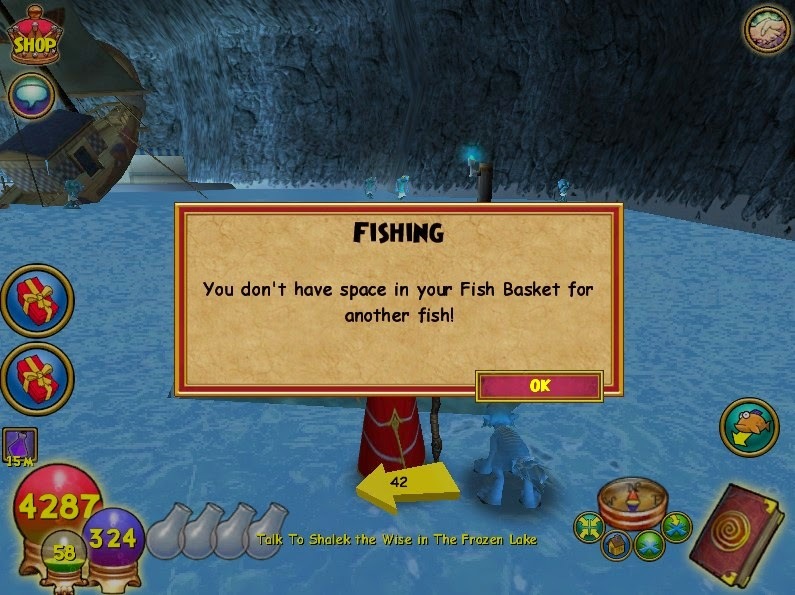 If you still feel lost about the fishing basics, you should read this guide. But I want to mention a few things again that I'm constantly asked about as well as offer a few tips that is not mentioned in the basic fishing guide. How To Get An Epic Fish! 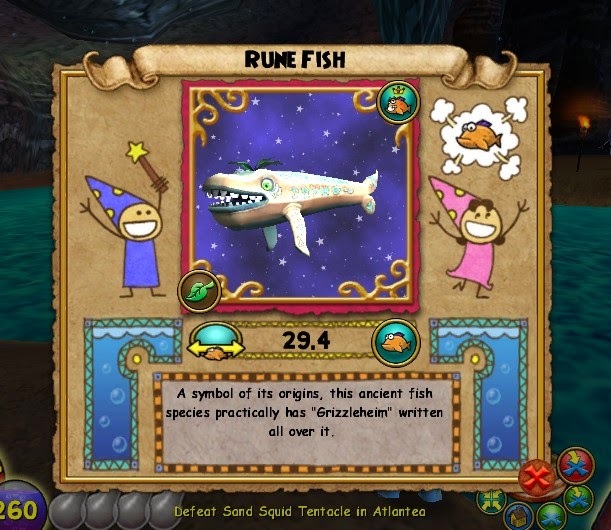 Some Epic fish like the Rune fish is easier to spot who is Life will RARELY pop up in a pond filled with death and fire fish. It took me 3 days until I finally could see a Life light in this Mirkholm Keep, Grizzleheim pond. That's when I knew the Rune Fish was ready for me to reel in. But some Epic fish are the same color as other fish in the same pond like the Silver Streak fish. So for fish like Silver Streak, I suggest to reel in EVERY fish that is the same school as it and hope it's the one! Sometimes you get lucky and you see it load which is a major clue too. Just remember, Patience and Persistence is the key to Fishing. It is not supposed to be so easy that you finish your entire fish collection in a few days. But don't worry, you WILL eventually get it. It took me a week to get most of the rare fish to be honest. I would suggest you to buy some Major Luck Elixir before even casting out a lure for it if you do find it! Otherwise, you could lose it and you don't want to do that. There was a great tip from Patrick who suggested scaring away the fish that you don't need, so the ones that remain you know for sure you need. This saves on energy, so you don't have to use the Reveal Fish School so much. And you know for sure they're the ones you need like Ice if you want a Polar Bear Acuda, so you don't scare them off. But if you are SURE that the fish that you are searching for is not in the pond, I suggest you scare everyone away, so when you come back, you will know that the pond has restocked. Sometimes just for the heck of it, I fish the entire pond out, so I can sell them for gold. It's up to you. To find out what fish is available, what schools are they, and more, this guide is for you! If you want to know which fish is by world, this should suit you better. First time you catch a unique fish, you will get a large First Catch XP. 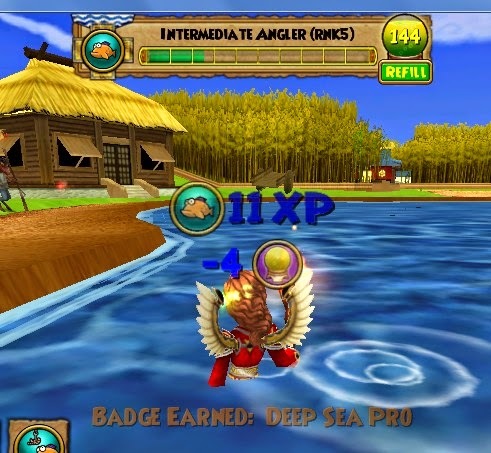 Every time you catch a new fish that you have not gotten before, you will get a First Catch XP which is an one time bonus XP. But then if you catch that same fish again, you will get a super low XP. 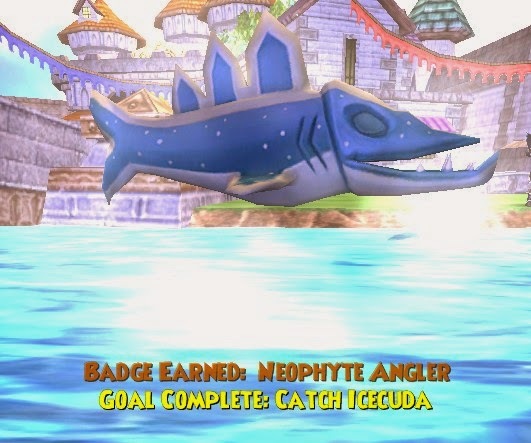 This is to encourage you to find more unique fish to earn major First Catch XP and level up. There are currently 63 fish that we know of and counting. I'm pretty sure there's a few more that we haven't not found yet. All of their bonus XP definitely don't add up to Rank 10 for sure. I have 61 Unique Fish and I'm almost to Rank 8 with 10k to go. So it is clear that we will have to fish for thousands of fish for their regular XP, just to gain enough XP to get to Rank 10. The Fish School Colors - What Am I? Confused about which color is which? Don't fear. Take a look below. Fire is orange, Ice is Blue, Life is green with leaves, Storm of course purple, Balance is red, Death is black as night and Myth is yellow. Like the life, I wish the others had that little bit of something else. I loved the leaves with the life light, to be honest. It would be cool if we saw school icons floating in the light as well. It would definitely help pinpointing them better imo. If you feel frustrated, just go to another area and try to reel in another fish then come back to the original site. Will I Really Get A Lot of Fish? Some people are in disbelief that they can even get to 100 fish. But believe it or not, soon your fish basket will be so full that you can't even fish anymore. Then off you will go to either Lucky Hookline or the Grizzleheim fishering bears to sell them, so you can have more room. Don't worry, you will eventually get your badges and XP. 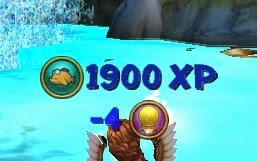 Just remember, unique fish gives First Catch XP that will help you level up. 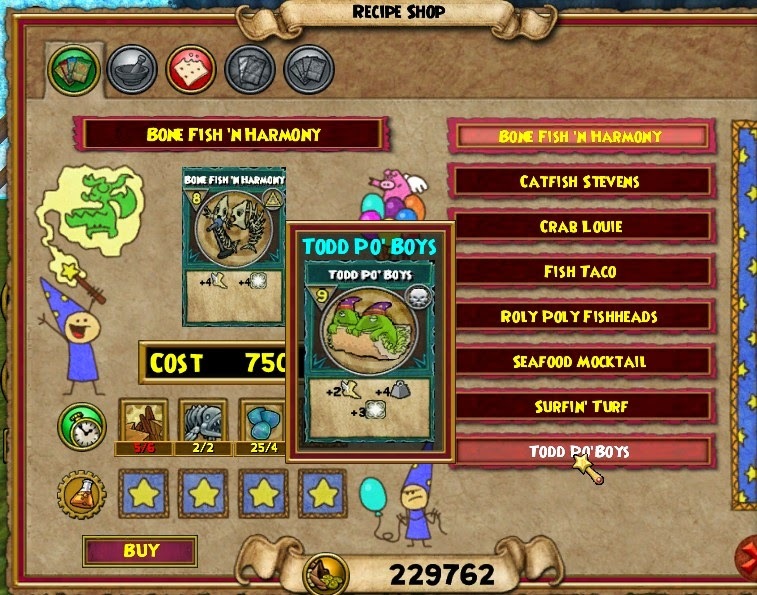 And even if you get common fish, they're still good because you can sell them for gold. That's how I went from 0 Gold To Max in no time! It's best to develop a Fishing System so you don't focus on one fish all of the time. For instance, I would go to Emperor's Retreat since you will have the Recall. Then when I'm done searching for the Silver Streak, I press for the Oasis, so I can farm for Sturgeon General in Entrance Hall. Then I press my Mark where I marked the Mirkholm Keep pond to check for Rune Fish. When done, I press for the Northguard where I can run to Vigrid Roughland to fish for the Polar Bear Acuda. That's FOUR spots already. 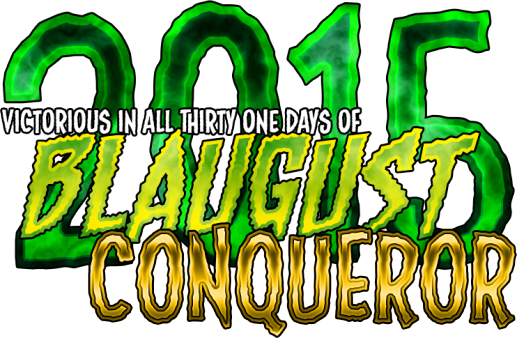 And to repeat that cycle, I simply go back to the dungeon before the time is almost out. 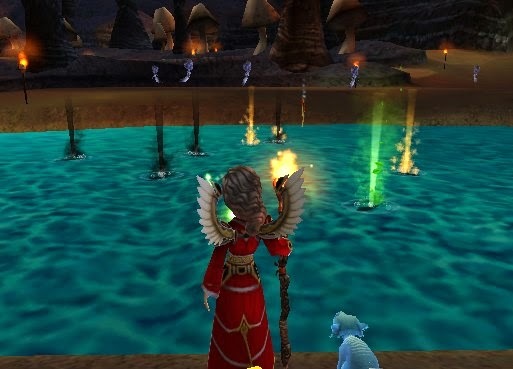 One of the developers did say it takes 15-20 minutes for a pond to restock itself. So the Dungeon Recall timer is great to keep you on track! So plan your fishing in advance for success!! People are so confused about this. Honestly it IS confusing even for me. There's two size types for fish; one is length and one is body type. Keeper refers to the Length size as in Small Fry, Keepers, Whoppers. Regular refers to the Body Type size as in Wide, Tall or Regular. Have you noticed Sun Rays are very wide or Cuddlefish are very tall or the Cudas are regular sized? That's their body type. You need to place them in tanks that won't cramp their style. But then there's Sun Rays who are Whoppers, so Whoppers need MORE space as well because sheesh, you just hooked in a super large Fish who need more space for its wings. Think about this way, if you caught a Small Fry Sun Ray and you placed it in a Whopper Large Tank, it'd be too much space for that tiny fish. I recommend you focus on Keeper tanks because you will acquire quite a lot of Keepers when fishing. If you need help knowing which fish belongs in which tank, we do have a guide for you! Frodo Silverscale doesn't just sell Aquarium Tanks and buy your fish. He also sells Mega Pet Snack recipes!! He even has Rank 9 and 8 Pet Snacks available. 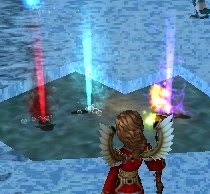 Also some people encountered a bug where you can fish in your houses, but no there's NO fish available in those ponds. But maybe someday?! And when I landed in the Commons, the GobblerFish loaded. I fished the entire pond out with NO luck. I only scared away one fish and I hope it wasn't the GobblerFish. Is this a trick or someone else reeled it in or a glitch? Nobody knows since this fish is STILL not found yet. But will you be the one to find it? Time will tell. 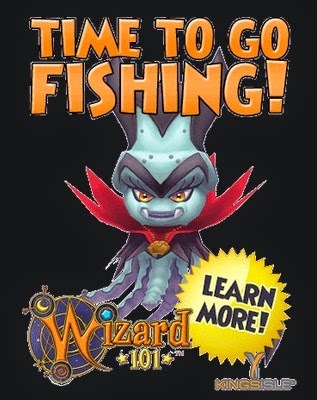 Also this cute Vampire Squid popped on the Launcher then quickly removed. 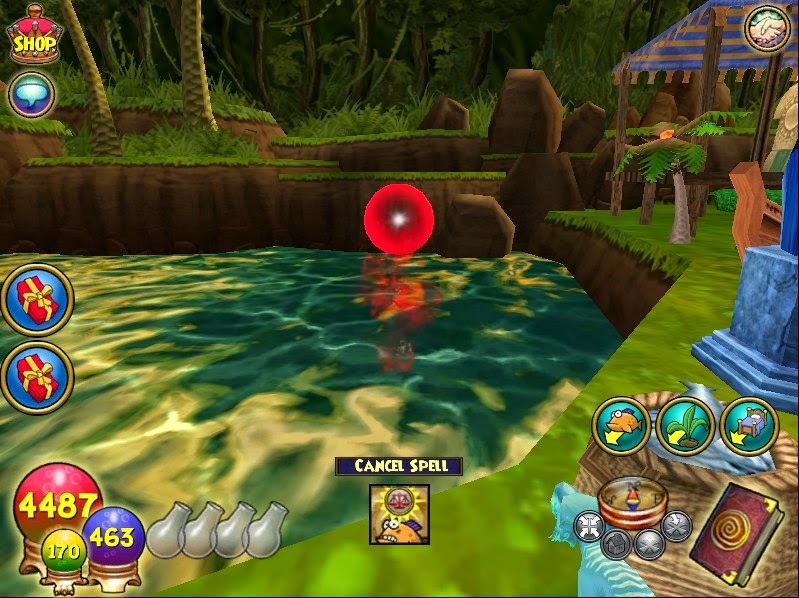 We have no clue if it does exist in-game or it was leaked way too early since this fish is not ready. Who would want this? I DO! Even as a pet, it would be super epic. So far, I'm impressed with the Fishing. It was a nice diversion. 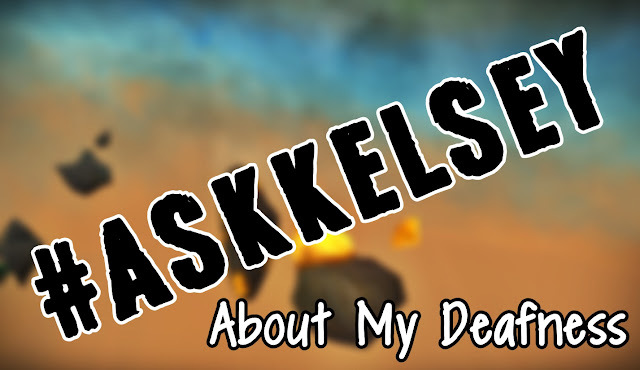 I can't wait for the day it is added to Pirate101, if it ever will be. I also can't wait for us to fish in our own houses officially too. The developers did a nice job tweaking the bugs. I just hope that they add even more rare fish because I'm not looking forward to catching thousands of fish to get to Rank 10. Oh well, we'll figure it out. We always do find a way! I like the guide, it's very informative. The guide was very helpful! Please keep making guides like this. The Vampire Squid is really cute! I agree. I can't wait to get it someday! Sure I'll do my best. Thanks for that suggestion. Game Cards: Is It Worth It Or Not?